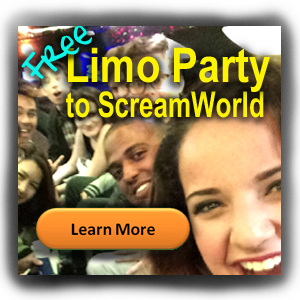 ScreamWorld – Houston's Most Terrifying Haunted Houses! 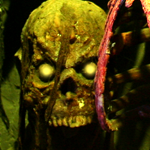 Voodoo Swamp is a dark, damp journey to magic and fear – with snakes, marsh monsters, and terrifying critters of all sorts. 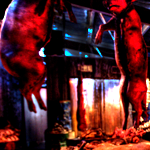 Jake’s Slaughterhouse is a grim, old-style meat processing plant – complete with slaughtered beef, gutted hogs, skinned animals, rotting carcasses… and a few things no meat market should ever have. 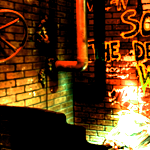 Edge of Darkness features scenes from the dark underside of our modernizing society – including our Hospital Room, the Boiler Room, Death Row, and the Morgue. 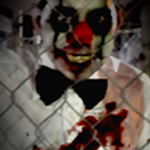 Maze of Maniacs is an outdoor attraction where prowling evil clowns use disorienting strobe lights and meandering corridors to their advantage as they systematically hunt you down. 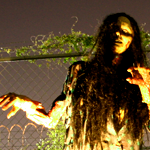 Zombie Graveyard, nestled in the hollow of a forgotten bog, is an outdoor attraction that is the final home of a host of monstrous creatures that never rest in peace – includes the Vortex Tunnel.